Laura Espinoza Cuadras was born in Mexicali, Baja California, Mexico on May 14th, 1953. She’s 61 years old; a mother and a grandmother. She likes to read and travel, but above all she loves meeting people. Since she was 16 years old she has looked for answers about life and spirituality. 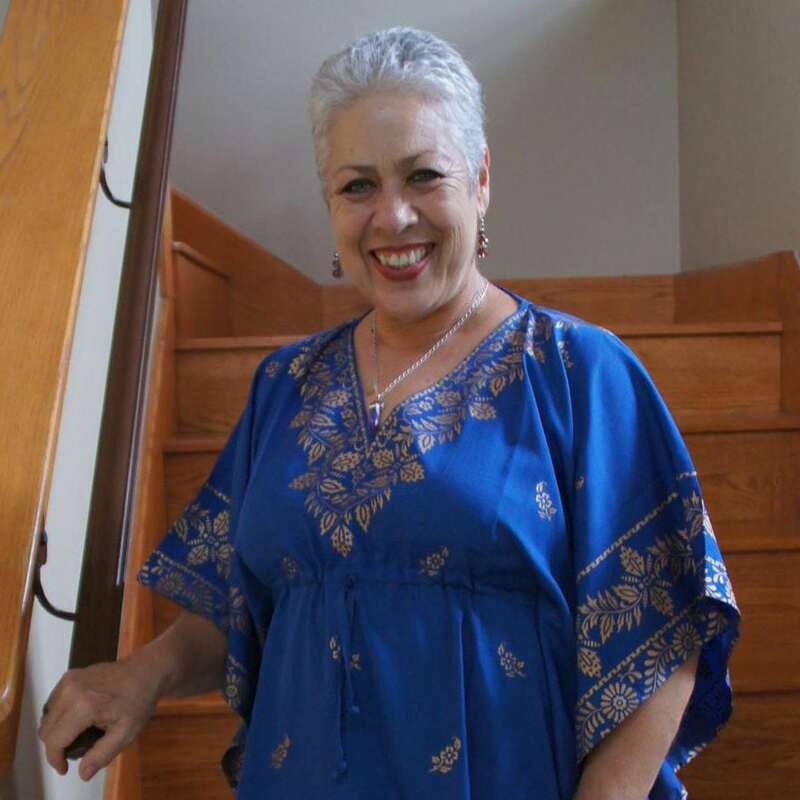 She has practiced Zen and Tibetan Buddhism, Yogi Path, Native American Tradition, connecting with Nature, Esoteric Schools and she is a Holistic Therapist Practitioner. From the last twenty years she has been walking beside Grandmother Margarita and other Grandmothers of the tradition, participating in Grandmothers Circles and Gatherings around several countries. In 1999 she met Adam “Yellow Bird” De Armon in Earthdance Ceremonies in the city of Tecate, Baja California, México, and has been leading women in Earthdances in México, United States, Spain since then. She has been the leader of the Earthdance in the mountains of Jalisco, México since 2013.